When the International Criminal Court finally came into existence in 2002, it was lauded as a serious step towards universal justice and accountability for the worst international crimes. Ten years later, some of that excitement has worn off. Nowhere has that been more the case than Africa, the continent that has so far been the home of every single person indicted by the court. It has long been argued by some that the court is biased towards Africa, and has merely become a forum to dispense Western justice to the “Dark Continent.” Of course, there are a lot of reasons why Africa features so prominently in ICC proceedings, a big part of which is the continent disproportionately joined the court compared to other regions, making it more likely that serious crimes committed there would fall under ICC jurisdiction. But even while observers may understand the reasons behind the numbers and even support the court’s work, the emphasis on Africa continues to complicate the picture for many Africans who see it as another neocolonial institution weighted against them. However, Africa may finally have something to be proud of with the court as one of their own took the reins of the Office of the Prosecutor. Last week, longtime prosecutor Luis Moreno-Ocampo’s term ended and Gambia’s Fatou Bensouda was sworn in as Chief Prosecutor. Although Bensouda is a familiar face at the ICC, having served as Ocampo’s deputy since 2004, her appointment to the head of the office that has vexed so many African governments may serve to cushion the impact of the court’s activities on the continent and show that Africans can be more than just defendants in the halls of The Hague. Of course, in taking over, Bensouda has several difficult tasks ahead. 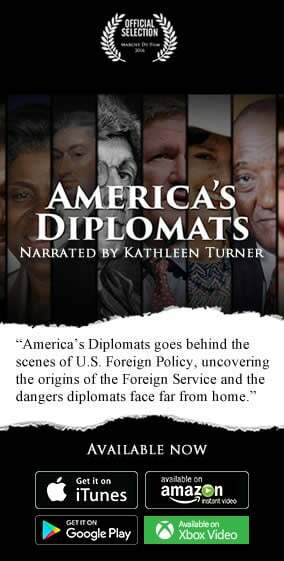 The most urgent of these issues is the diplomatic resolution of the current standoff with Libya over four staff members currently being held by the government there after attempting to visit Saif al-Islam Gaddafi, who is under indictment by the ICC. But, as The Guardian’s Afua Hirsch points out, there are also long-term structural issues that Bensouda will also have to address. In recent years, the ICC has come under criticism for their lack of transparency and investigatory techniques. This latter point was highlighted just last month as the court rejected Ocampo’s request for an arrest warrant of Sylvester Mudacumura and dropped all charges against Callixte Mbarushimana, both members of the FDLR militia group that emerged from remnants of Rwanda’s old Hutu regime following the genocide there in 1994. Crimes committed by the FDLR throughout their time in the Democratic Republic of the Congo are well documented, but in rejecting the warrant and dropping the charges against Mbarushimana, the court stated that the prosecutor failed to provide enough evidence linking the men to the incidents in question. Sloppy investigations and presentations have allowed these two warlords to walk, at least for now, and also serve as an important reminder than requests by the Office of the Prosecutor are never guaranteed. Improving relations with Africa is also a must if the court hopes to change the minds of African governments who refuse to cooperate with the arrest of Sudan’s Omar al-Bashir. Such cooperation may also be necessary for the situation in Kenya, where two of the indicted defendants in that set of cases are still planning to run in the presidential elections next year. If one of them is elected, it could result in a standoff similar to what the court is already facing with Sudan. Finally, there is the growing issue of Syria. Although Syria is not a state party to the ICC, it could still come under investigation via a Security Council resolution. At this point, Russia and China are not keen to let that happen, but as evidence of crimes by the government there continue to pile up, the calls for such a move continue to get louder. In any case Syria will likely remain an issue for the court, either by requiring the court to explain why it is not investigating or by potentially offering the ICC its first case outside of Africa. These are just some of the problems facing Bensouda in the coming weeks, months, and years as Chief Prosecutor. Many more issues will inevitably come up. 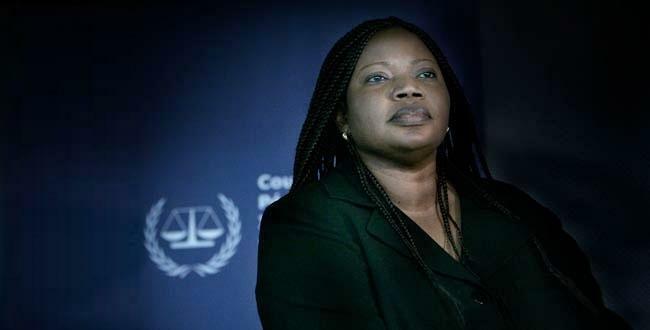 But what is clear is that her appointment marks a new chapter for the ICC and potentially a great opportunity where the flaws of this young institution could be corrected and the court may finally start to live up to the expectations the world had back in 2002.